On the deadline to lock up your franchise player, Matt Forte signs a four year deal and should solidify the Bears offense this season. With Jay Cutler being reunited with WR Brandon Marshall, this could be the best offense the Windy City has seen in years. Forte is a space runner and flourishes on screens and draws. He should project out to 2,200 yards from scrimmage if this offense can hit the field healthy this season. At 26, a four year deal was good for both Forte and the Bears organization. Teams are reluctant to pay running backs as they near 30 years of age and the Bears should have a succession in place by then. Forte has been a solid player who looks like he has many years left. He’s a slippery runner who rarely takes the solid hit. Compare this with the reluctance the Baltimore Ravens are taking with Ray Rice. Each runner was franchised but there is a growing suspicion that Rice may be on the verge of wearing down from a heavy sustained workload. He also takes a lot more solid hits than Forte and it may show up shortly. Rice still hasn’t signed his tenure and wants a longer deal like Forte. 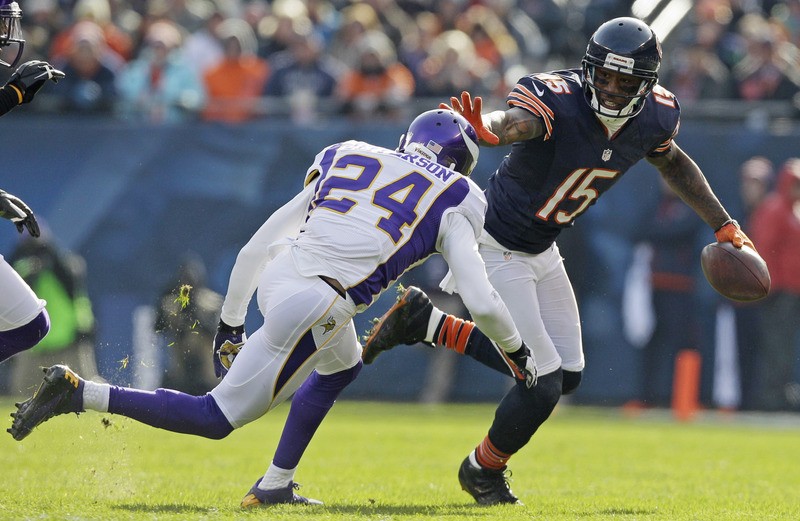 Brandon Marshall and Forte need each other for this to work. If teams are keeping their safeties back and outside linebacker to Marshall’s side watching for outs, hooks and slants, Forte will have more space to operate than ever before. The NFC North is weak when it comes to outside linebacker play as well. Whether rushing or receiving this is going to open up for the Bears beautifully. As for the Bears as a franchise, remember the sentiment that Michael McCaskey was handicapping his team with offseason inactivity?? You can lay that claim to rest. The trading for QB Jay Cutler, signing big time free agent Julius Peppers a few seasons back, then bringing in Marshall from Miami for cheap. 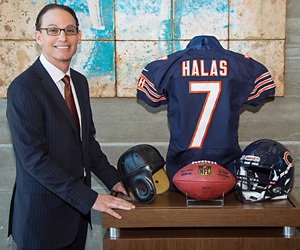 The Bears front office deserves some credit for not overspending and finding players for specific points. They’ve kept the nucleus of the team together (Lance Briggs withstanding) while becoming a player in free agency. In reality the current roster has about a 4 year window to reach the Super Bowl. The aforementioned players and those of Devin Hester, Urlacher, “Peanut” Tillman are all in their prime. Do they have enough to cool down the Detroit Lions and Green Bay Packers?? Every NFL season has it’s ups and downs. One month you’re a world beater and headed to the Super Bowl, once those other pesky ten games get out of the way. A month later you’re a team in search of a few answers on how to right the ship. Or in the case of the Chicago Bears, the mantra is to prove last year’s run to the NFC Championship wasn’t a fluke and they were / are worthy of primetime coverage. 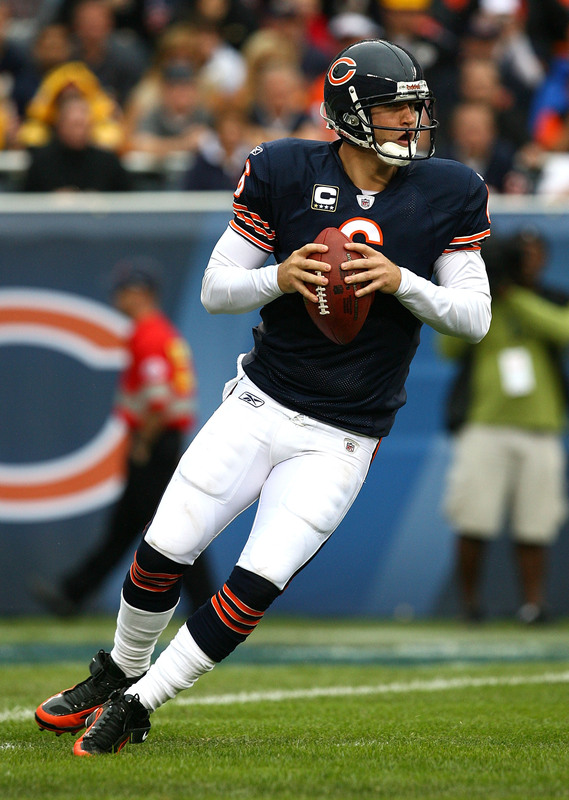 Last Sunday the Bears crossed the pond and held off an up and coming Tampa Bay team 24-18, for their 3rd win in 4 weeks. 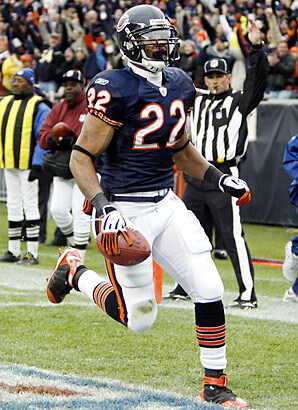 Look no further than RB Matt Forte for their resurgence. Do you realize that in four weeks he’s run for 553 and 2 TDs and catapulted himself into one of the NFL’s rushing leaders with 672 yards?? He ranks third in rushing and with the Bears schedule becoming easier after this week’s bye, he could run the Bears right back into the playoff chase.http://www.pro-football-reference.com/teams/chi/2011.htm Has there been a running back this year who has played better than Forte?? we don’t think so. He also leads the team in receptions (39) and receiving yards (419) and if he keeps going may be up for NFL MVP consideration as well. What is shocking is the Bears defense being ranked 24th in all of pro football. 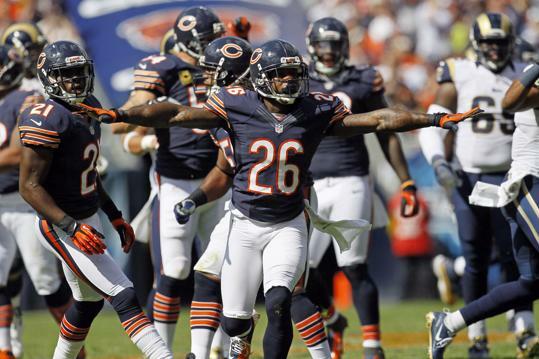 This week saw the Bears wave goodbye to S Chris Harris who started against the Bucs over at Wembley. Against the run they are a respectable 13th yet their pass defense has been awful of late ranking 27th. What is puzzling is the fact that the Bears are rushing the passer well. 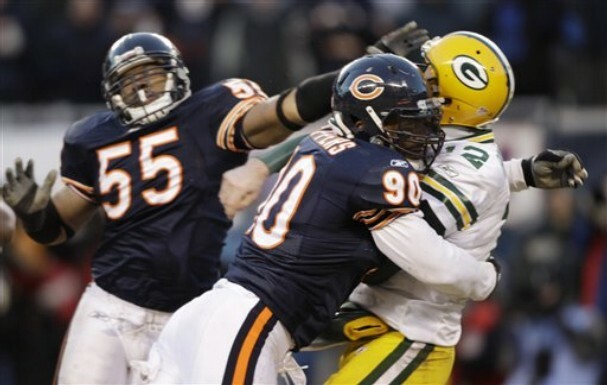 Led by Julius Peppers (4 sacks) there are at least four Bears with 3 sacks or more in just seven games. Lance Briggs was just named NFC Defensive Player of the Week and has 55 tackles. Urlacher is right behind him with 39 tackles and 3 interceptions. With all this pressure and solid linebacker play, what is going on in the secondary?? The play at nickleback and safety needs to be shored up. They have a bye week and then they face Philadelphia and the Michael Vick Experience. With so much attention on the World Champion Packers and the resurgent Lions, most experts don’t see this Bear team who quietly sits within striking distance of the division leaders. While the Lions have been a scoring machine the first 5 games they have been somewhat slowed in the last two. The missing punch out of the backfield in Mikel Leshoure, on injured reserve, is slowing this team down. Jahvid Best is filling the void as best he can but is a limited runner on 3rd and short. However the maturation of soon to be Pro Bowl quarterback Matthew Stafford (1,912 yards /16TDs & 4 int.) 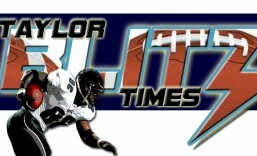 is right on schedule.https://taylorblitztimes.wordpress.com/2011/05/19/2011-detroit-lions-preview/ Calvin “Megatron” Johnson’s touchdowns have slowed a bit (8 in 4 games v. 2 in last 3 games) yet he topped 100 yards receiving in each defeat. They just have to get past Denver and recharge their batteries in the following bye week. To us, these games seemed to be growing pains for a young team yet they should be concerned about their run defense. Especially in a rematch with the Bears with Matt Forte’s recent rushing performance. Sailing along are the World Champion Packers whose offense is one of the best in all of football. Aaron Rodgers is moving well in the pocket and distributing the football without taking sacks or hits like he did last season. Concerns about his concussion situation seems a thing of the past. The Packers are passing at will on opponents who can’t generate enough heat to get to Rodgers. How affective are the champs with the ball? Well their offense is ranked #3 overall with Rodgers unbelievable statistics. Rodgers has completed 71.5% of his passes for 2,372 yards, 20TDs to only 3 interceptions. Yikes!! It’s as though he’s playing Madden Football on rookie. Do you realize he’s on pace to throw for 5,421 yards with 45 TDs. That would destroy Dan Marino’s single season yardage mark if maintained and just off pace to break Brady’s all time touchdown record. Lethal. Lets ask a question: What happened to this defense?? Green Bay has been giving up candy on defense this year to the tune of 391 yards per game. Where last year the team was galvanized and held together by the leagues’s #2 ranked defense, this year’s edition is ranked 27th. Without a significant injury to the starting 11, you’d have to say it’s a terrible performance. In 7 games they have only held one team to 10 or less. They even gave up 27 points to an inept rival Viking team last week. Eventually offensive juggernauts fall to a superior defense in postseason play. The Packers are walking a tightrope. They want to finish like last year’s team with a Super Bowl victory yet are playing defense like their 2009 edition that was knocked out in the wildcard round. It would be best for this team to get to some Oklahoma drills this off week. Their title defense will come down to their defense in the end and they definitely have to play better. Thanks for reading, comment, and share the article.